Welcome to the Kern County Chapter of the California Association Medical Staff Services web page. 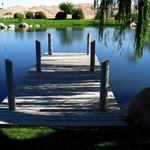 This is a page designed by and dedicated to the Medical Services Professionals of Kern County. We have a variety of members from all aspects of credentialing management. Our membership consists of medical staff professionals and credentialing specialists from large and small healthcare systems, with members from hospitals, managed care organizations, and other related medical staff organizations. We are privileged to have a total of 21 current members in our Chapter and hope that as our community continues to grow, our Chapter will grow in kind. If you would like to join the Kern County Chapter, please click on the membership application below.